D.J. Iverson, D.J. 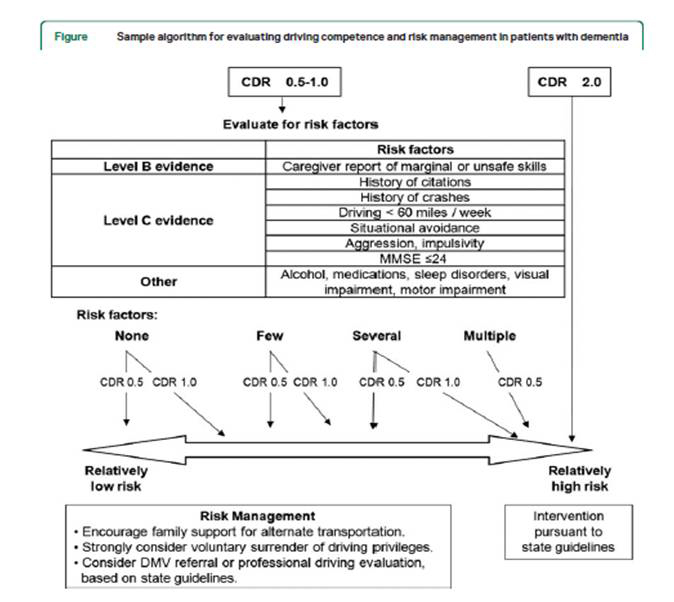 Gronseth: Practice Parameter update: Evaluation and management of driving risk in dementia. Report of the Quality Standards Subcommittee of the American Academy of Neurology. Neurology: 2010; 74: 1316-1324. ※　参考文献：　Morris JC. The Clinical Dementia Rating (CDR): current version and scoring rules. Neurology 1993;43:2412-2414. Deborah S Jacobs : Evaluation of the red eye. Up To Date ONLINE 18.2: last updated June 16, 2009 . Karen Schultz：Strategies to enhance teaching about continuity of care.